Kit is packed with acne fighting power, with Acne Hater Deep Scrub and Spot Zinger both formulated with 2% salicylic acid to reduce blackheads and blemishes over time and Swirled Mattifier formulated with powder to neutralize redness and shine. 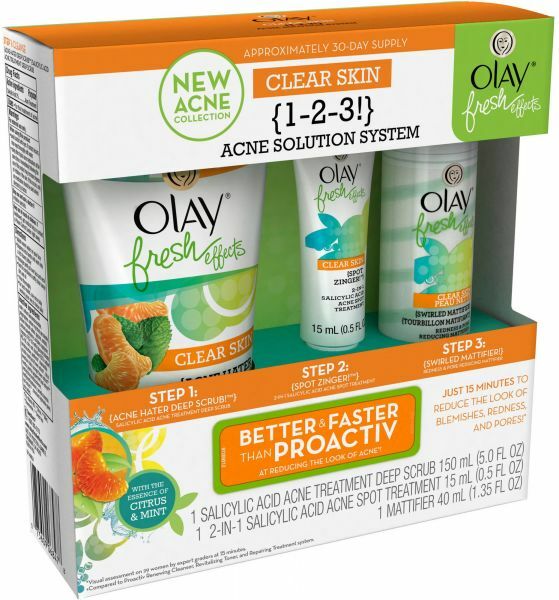 Acne solution system cleanses, moisturizes, and treats acne at the source. The result: A clearer complexion that will have you looking refreshed and ready-to-go no matter what the day (or night!) has in store.